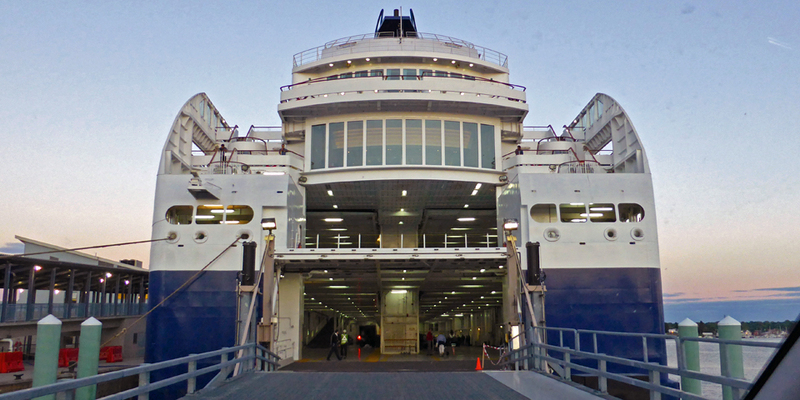 We recently cruised round trip between Portland, Maine and Yarmouth, Nova Scotia aboard the new Nova Star, which began service on May 15, 2014. Check-in was well organized and we were onboard an hour before our 9 p.m. departure. There was plenty of time to enjoy the sunset view of Portland’s historic waterfront district. There were three restaurants, the upscale Currents, the moderately-priced Fathoms Buffet, and Piper’s Pub. We walked by the casino, spa, and children’s playroom before enjoying a meal and some live musical entertainment and getting a good night’s sleep in our comfortable cabin. 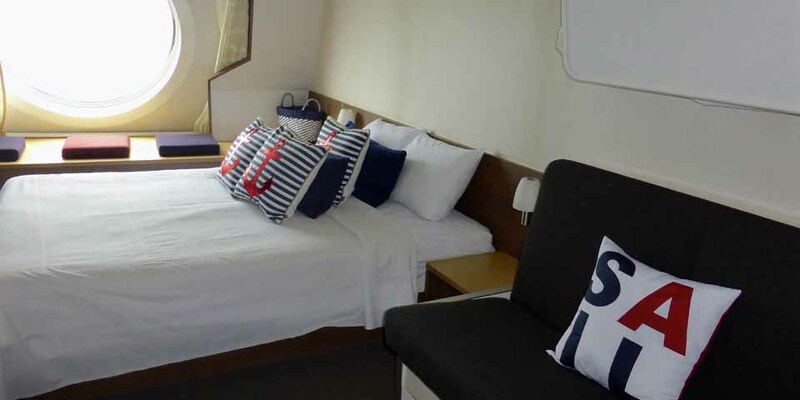 For the daytime trip back we booked the more spacious Deluxe Ocean View cabin, which has a desk, sofa that converts into an extra bed, and a large window seat. A morning announcement is made 20 minutes before rooms are to be vacated, leaving about an hour to relax in a lounge before the 8 a.m. arrival in Yarmouth. 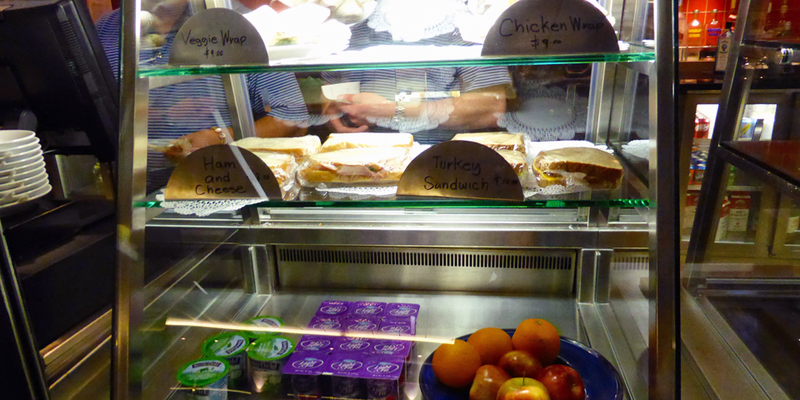 We were tempted, but skipped the breakfast buffet to relax with coffee and yogurt from Piper’s Pub. 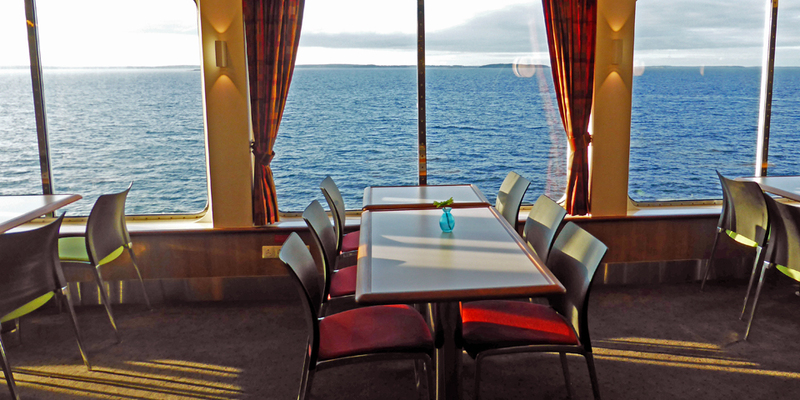 We enjoyed the panoramic view of lighthouses, sea birds, fishing villages, and wooden houses tucked between soaring pines from the adjacent Key’s Piano Bar, Deck 7 Forward. We cleared Canadian Customs and drove up the hill to the Visitor Information Centre for maps and brochures. Since the ferry arrives before museums are open, this is a good time to follow the Heritage Properties Walking Tour map available at the Visitor Information Centre or YarmouthandAcadianshores.com. 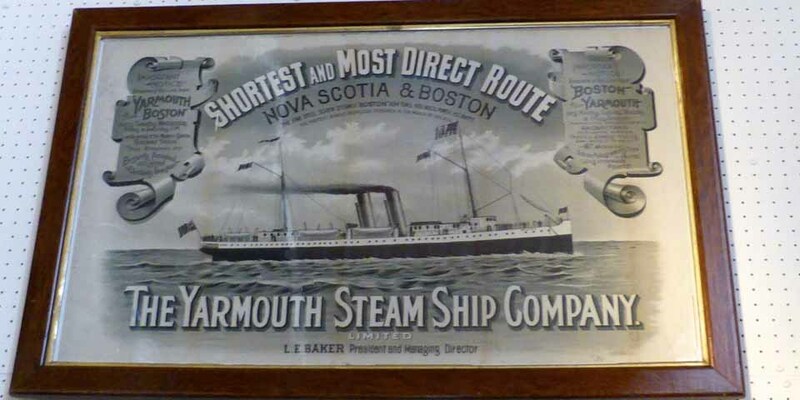 Yarmouth once had the second largest fleet in Canada. Grand homes, churches and stores built from 1850 to 1900 reflect its prosperity as a major shipbuilding and shipping center. 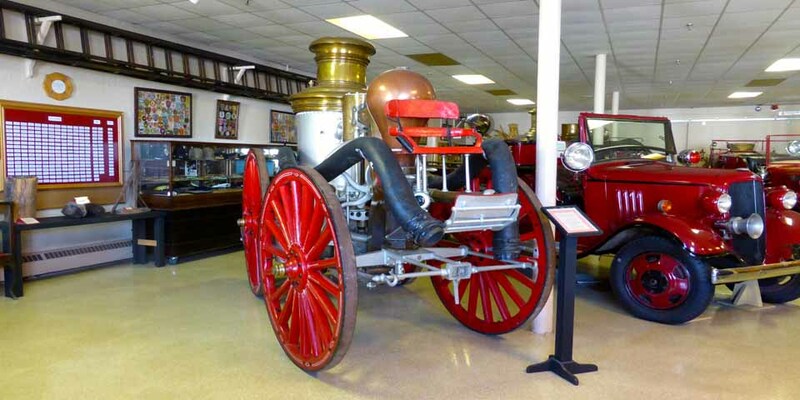 Some of the buildings are now museums that are well worth a visit. 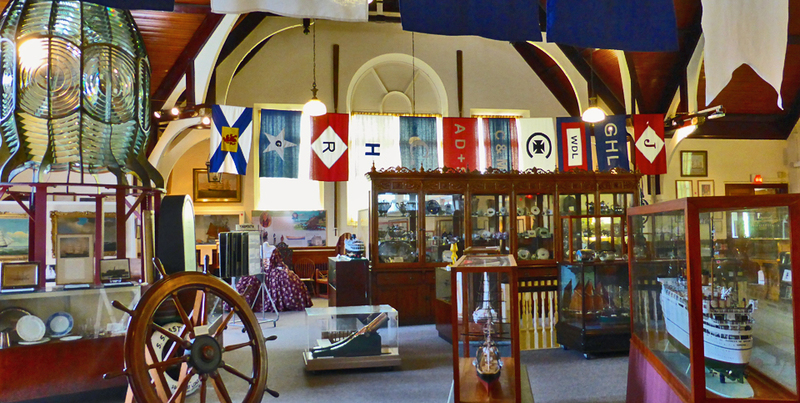 The award-winning Yarmouth County Museum is a highlight of the tour. 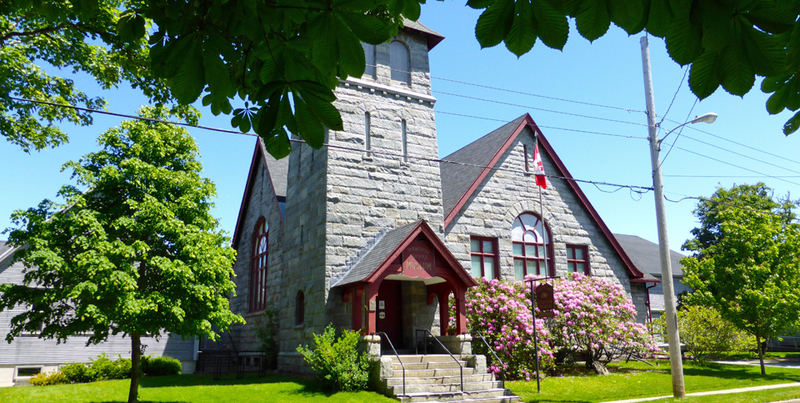 Built as a church in 1893 of Shelburne County granite, it became a museum in 1967 with a collection of over 20,000 county artifacts including costumes, furnishings, coaches and the 3rd largest ship portrait collection in Canada. 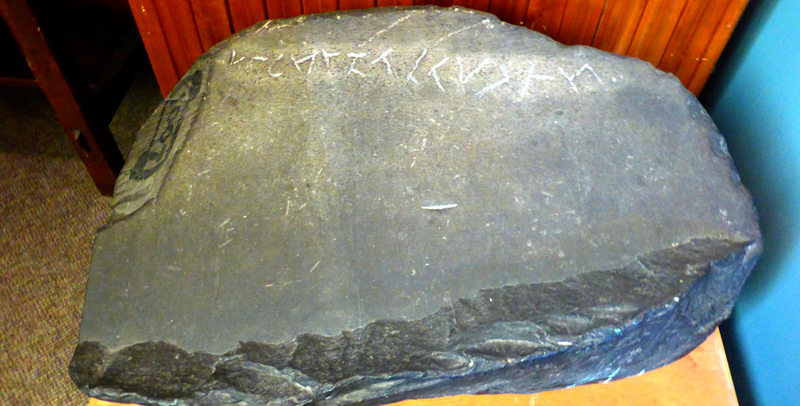 Its Runic (Yarmouth) Stone is said to have been inscribed by Norsemen. 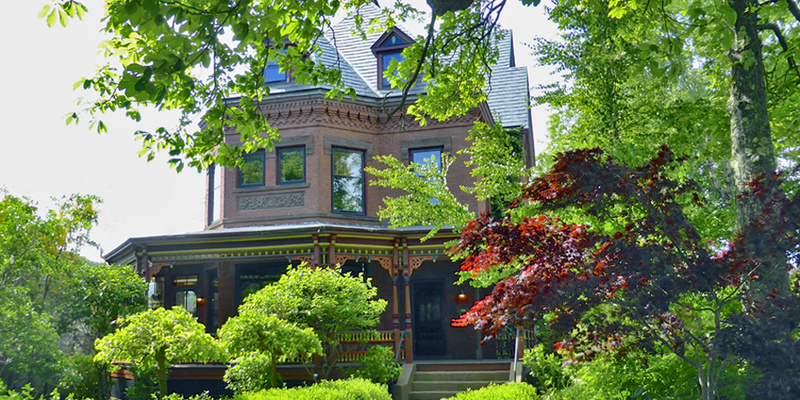 The adjacent Pelton-Fuller House was the summer home of Alfred Fuller, the original Fuller Brush Man, after his marriage to Primrose Pelton. 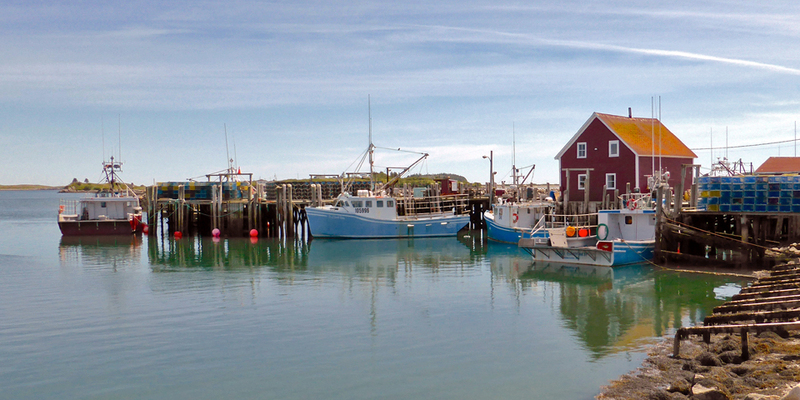 Alfred, originally from King’s County, Nova Scotia, met Primrose on the ferry between Boston and Yarmouth. 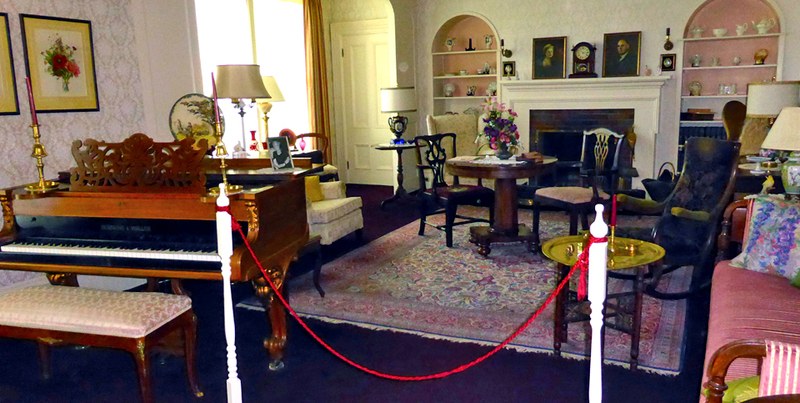 Primrose bequeathed the house and furnishings to the Yarmouth Historical Society. 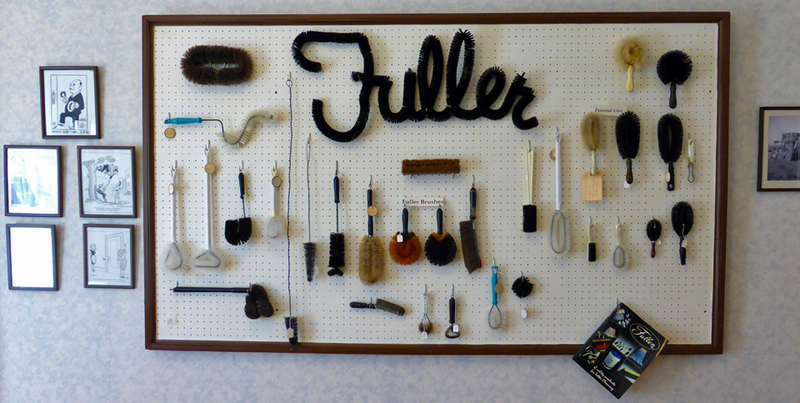 Vintage Fuller Brush products are also on display along with items like his 1906 brush-making machine used in Somerville, Massachusetts. 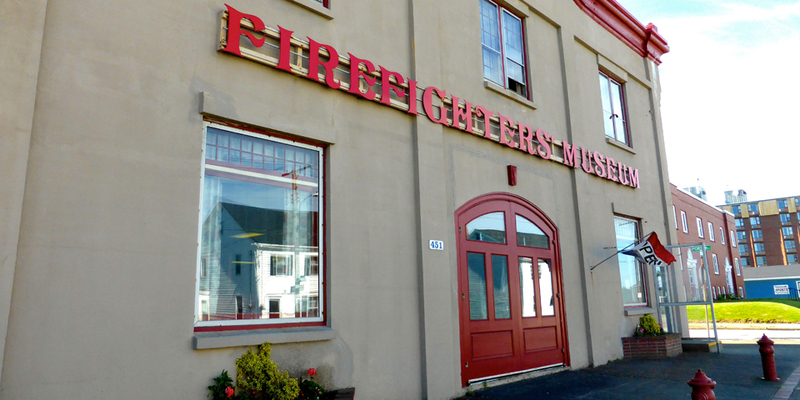 Imagine the smell of smoke and the clang of the bell when you continue on to the Firefighters’ Museum of Nova Scotia on Main Street. 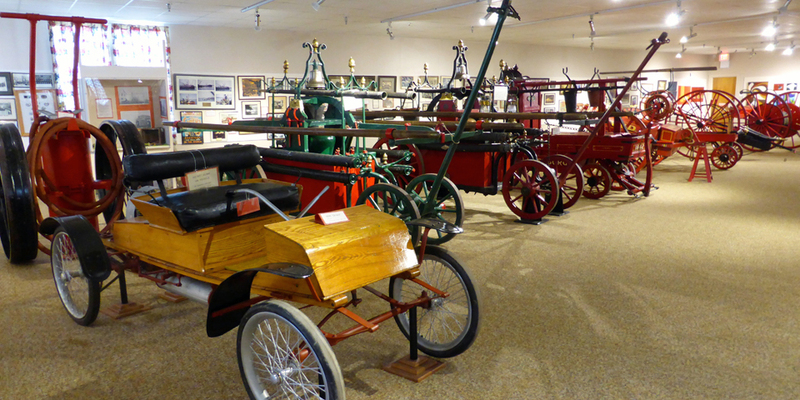 From Canada’s oldest horse-drawn steam engine to an an 1863 Amoskeag Steamer and 1933 Chev Bickle pumper it’s nearly every kind of apparatus used in Nova Scotia from the 1800s to the 1930s. 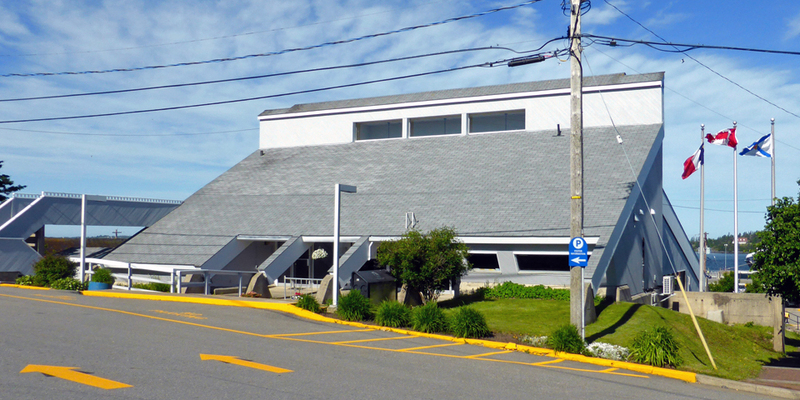 Continue to the sign at 120 Water Street that reads “Step into the waterfront of Yarmouth’s past”. 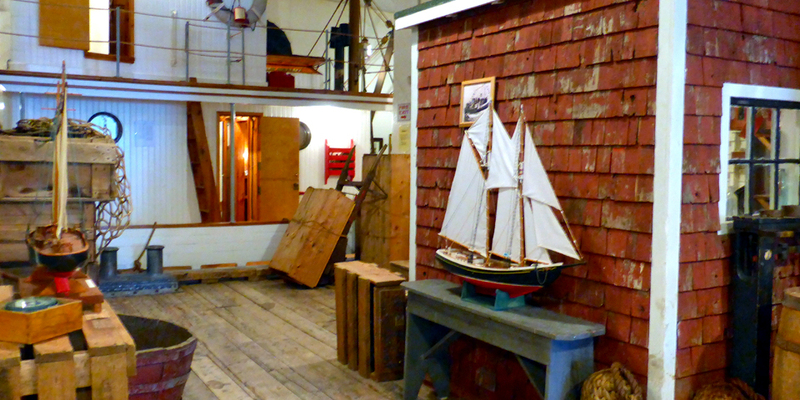 Stand in the wheelhouse of a coastal freighter and flip through pages of fishing history at the Laurence Sweeney Fisheries Museum. 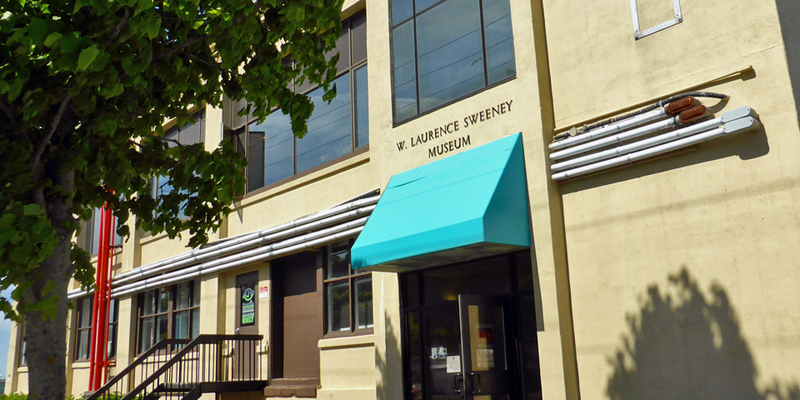 It was created by Mr. Sweeney’s son and daughters to tell the story of the men and women who worked for their father. 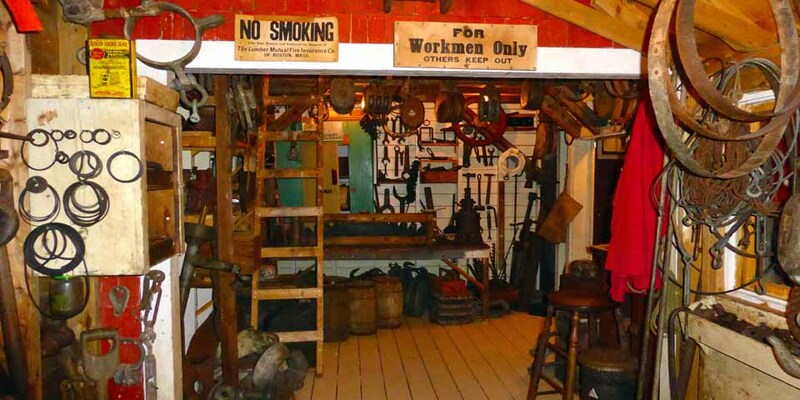 Nearly all materials used were preserved during the the deconstruction of the original buildings and reassembled as a scaled-down version of the seven-building working waterfront, complete with fishing, fish-cutting and ship repair sheds, and wharf decks. The authenticity is enhanced by an aroma emanating from a fish processing plant on the ground floor of the building. Cross to the shady Frost Park. 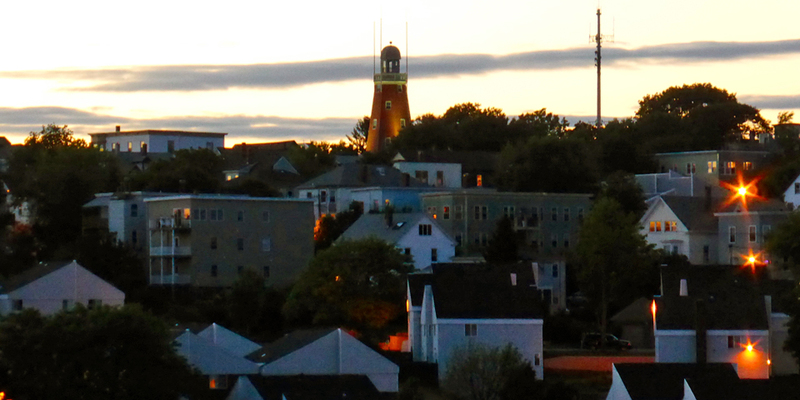 The three-tiered fountain is 150 years old and there’s an observation deck overlooking Yarmouth Harbor. Read the old headstones in Yarmouth’s first burial grounds. 1879 was the most tragic year for Yarmouth. One hundred and six people and at least thirty-one vessels, some of the best of the Yarmouth fleet, were lost at sea. Twenty-six widows and ninety-nine children were left behind. 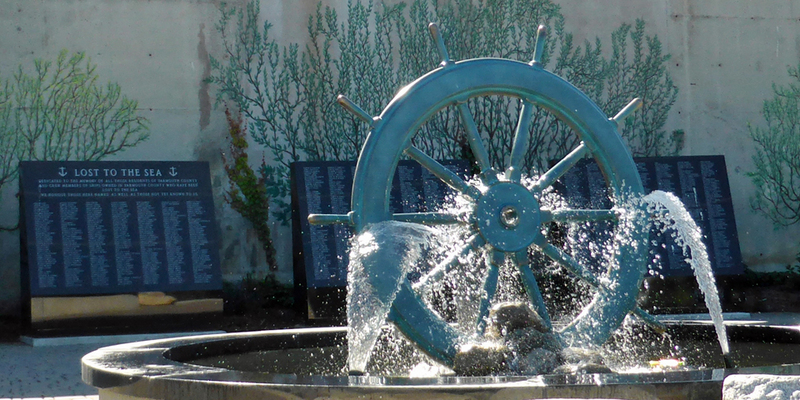 A monument on Water Street near Frost Park memorializes those who died at sea. Continue to Main Street and note the rooflines of the architecture, like the Woole Shoppe’s Classical Revival Style. 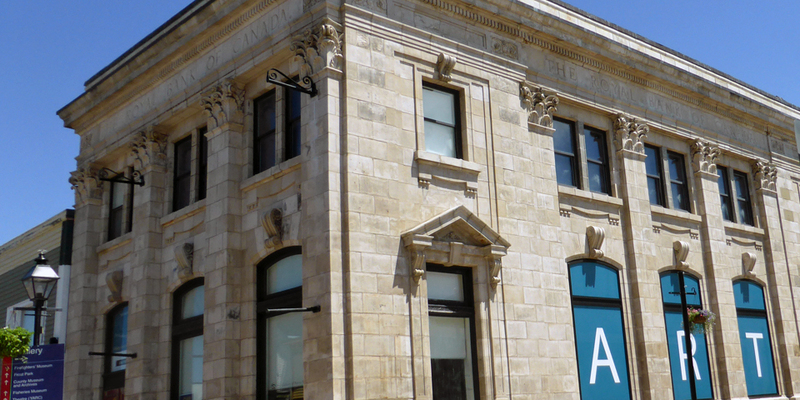 The elegant building at #341 served as the Royal Bank of Canada’s Yarmouth Branch and is now the only satellite branch of the Art Gallery of Nova Scotia. 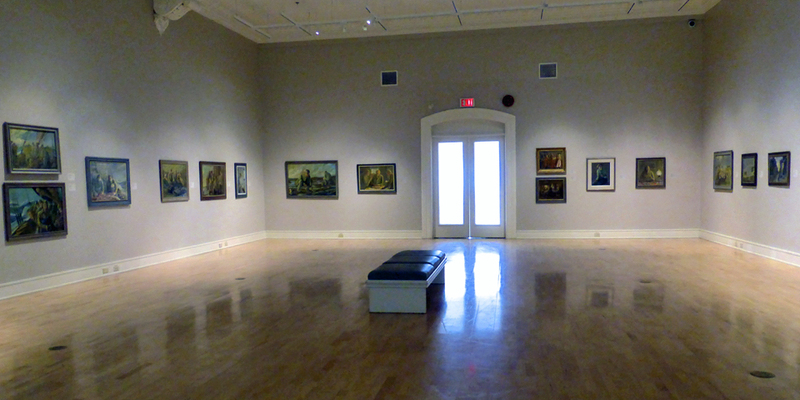 Among the exhibits are an impressive story-telling collection by Yarmouth-born self-taught artist Nelson Surette. A colorfully exuberant exhibit about celebration called “Magic In Her Hands” is by Marie Webb, an artist and fashionista with Downs Syndrome from a family of working artists. 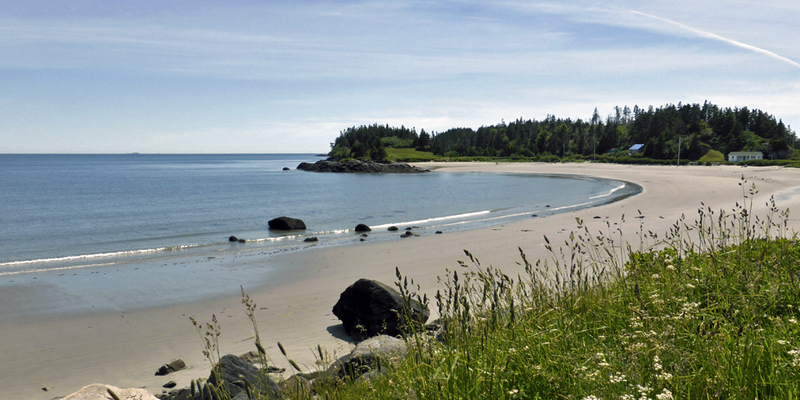 Prince Edward Island has Anne of Green Gables. 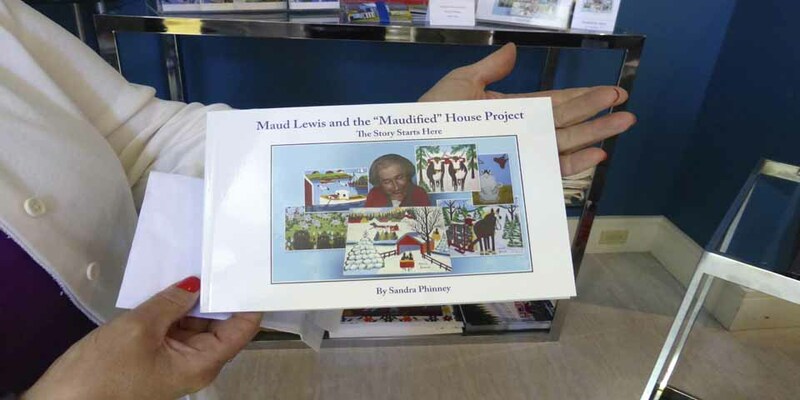 Nova Scotia has folk artist Maud Lewis, who lived on Hawthorne Street in Yarmouth with her parents until marrying Everett Lewis at age 34. 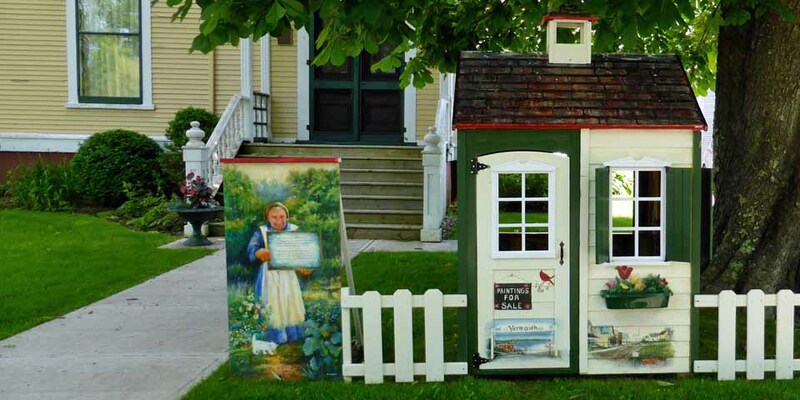 They moved to a tiny house in Digby County, where she began painting scenes of Nova Scotian rural life on everything from the dustpans to the walls and on cards Everett sold along with his fish. Works of this renowned folk artist are on loan from the community and related items are available in the gift shop. One of eleven little “Maudified” houses found throughout the city was outside the entrance to the museum. All were painted à la Maud by local artists and will be auctioned off September 14. 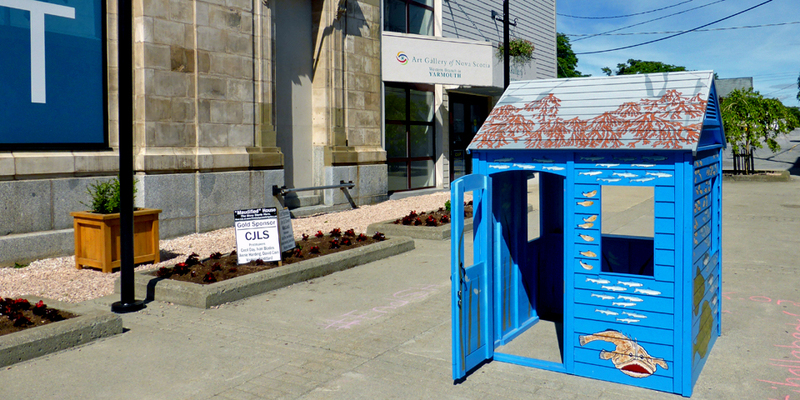 “Maudified” house outside the entrance to the Western Branch of the Art Gallery of Nova Scotia. We saw this “Maudified house” in front of the Pelton-Fuller House. Head down Central Street to the Killam Brothers building, built in the 1830s. The Killam family began trading on that site in 1788. 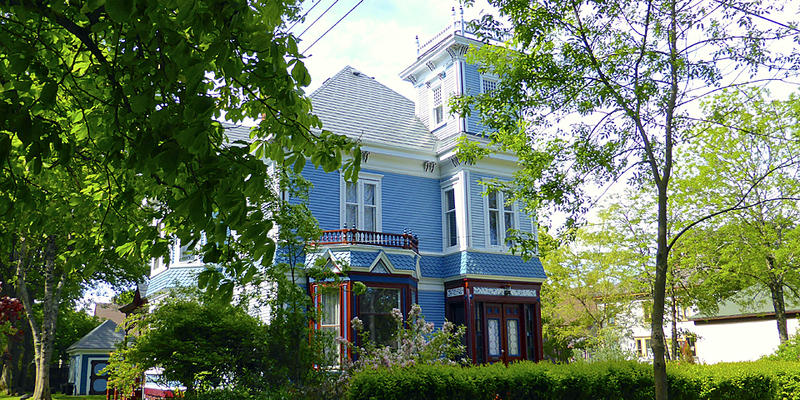 It now houses a fine arts gallery and an antique shop. Hungry? The waterfront Rudder’s Seafood Restaurant & Brew Pub at 96 Water Street serves local seafood — haddock, scallops, salmon and lobster —boiled, in a roll, or atop poutine. 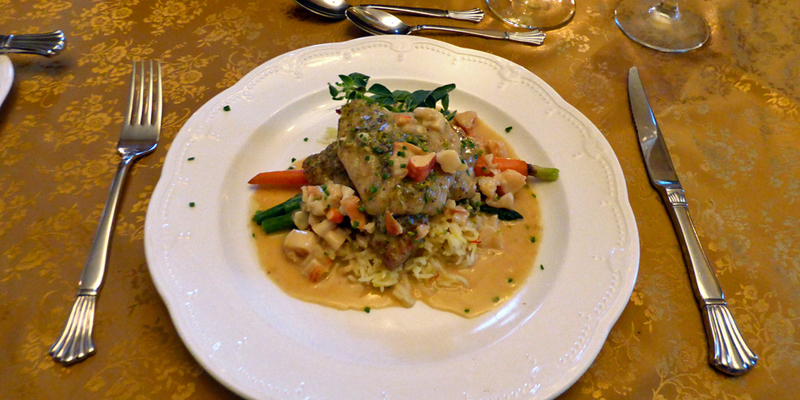 Or try some Acadian Rappie Pie. There’s live musical entertainment most nights. The Red Shed at 76 Water Street is a popular food cart that serves fresh local favorites. Continue the tour on Main Street. 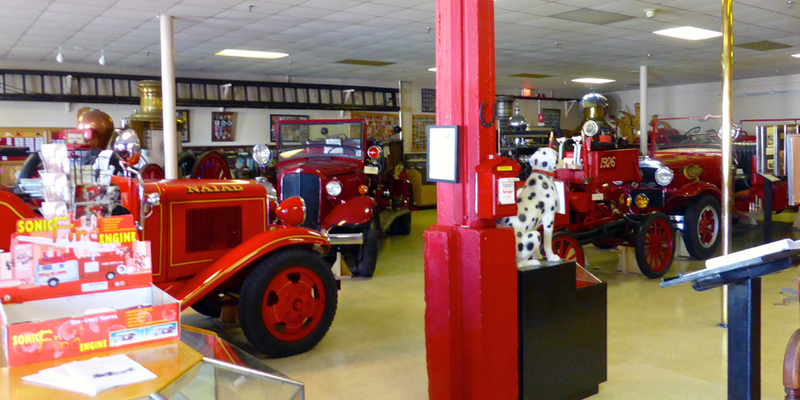 Enjoy the downtown art galleries, folk art stores, specialty and antique shops. 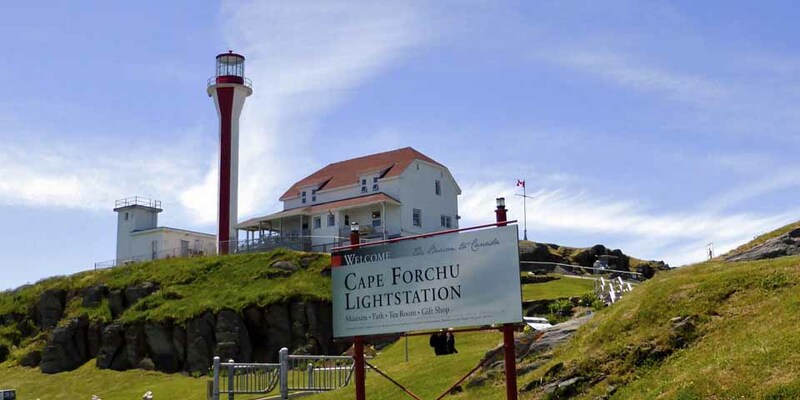 Cape Forchu Lightstation is Nova Scotia’s second most photographed lighthouse after Peggy’s Cove. 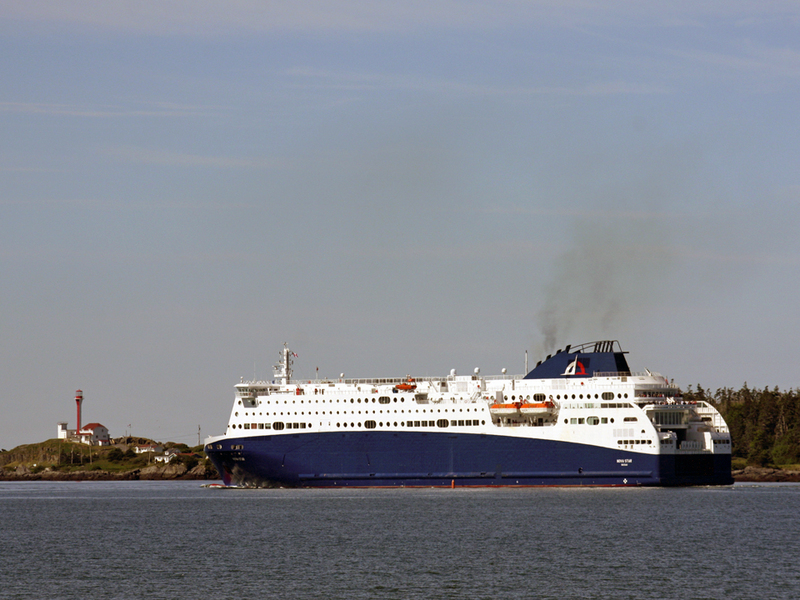 It’s the “Beacon to Canada” for visitors on the Nova Star cruise. 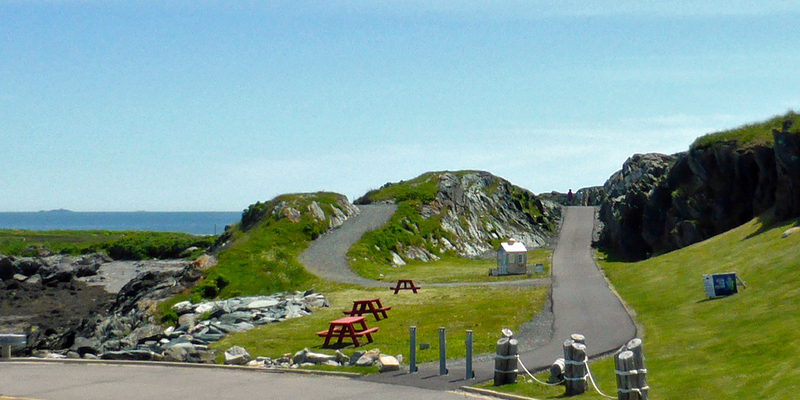 The light keeper’s house, circa 1912, is open to visitors. 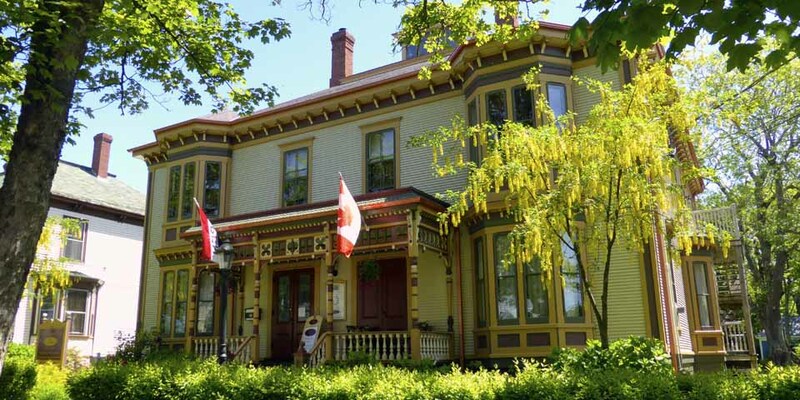 There is also a museum, tea room, and gift shop with local crafts. Tours by costumed interpreters representing Thomas Doane, light keeper for 40 years, are in the works. 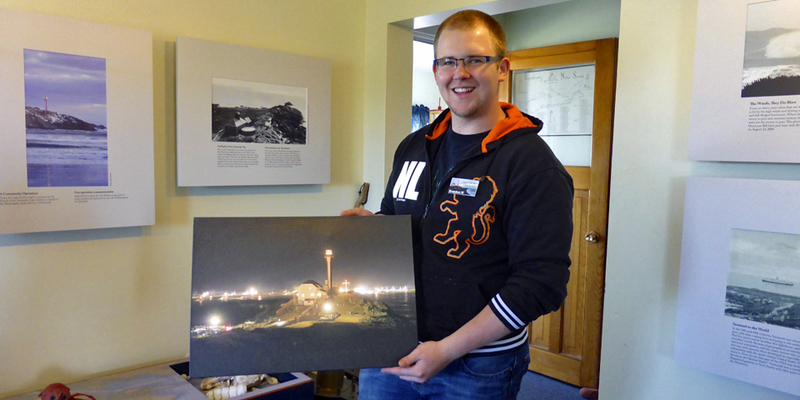 Braedon MacDonald at the Cape Forchu Lightstation, showing a photograph of the Dumping Day sendoff. 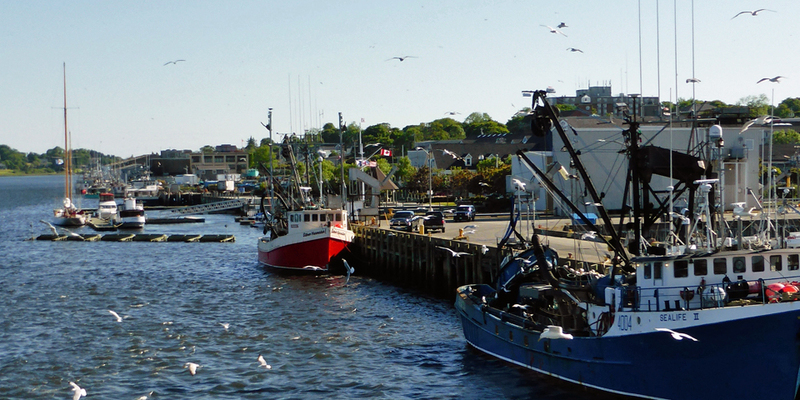 This is one of the best vantage points for watching the fishing boats going out or returning to Yarmouth Harbour. 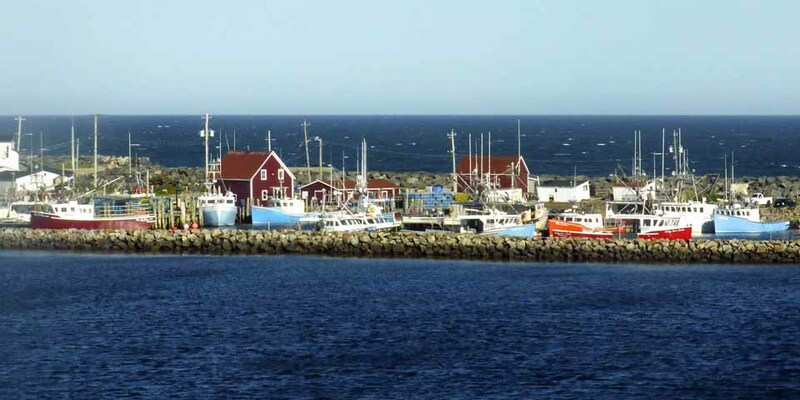 It is also where people gather for the sendoff on Dumping Day, the last Monday of November, when lobster fishermen drop their traps at sea. 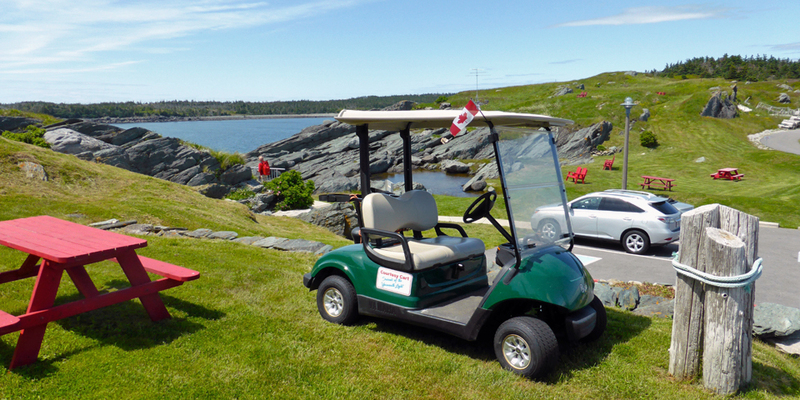 A courtesy cart is available at Cape Forchu Lightstation for those with mobility issues. The seventeen acre grounds has walking trails, picnic tables, look-off points, and rare rock formations. 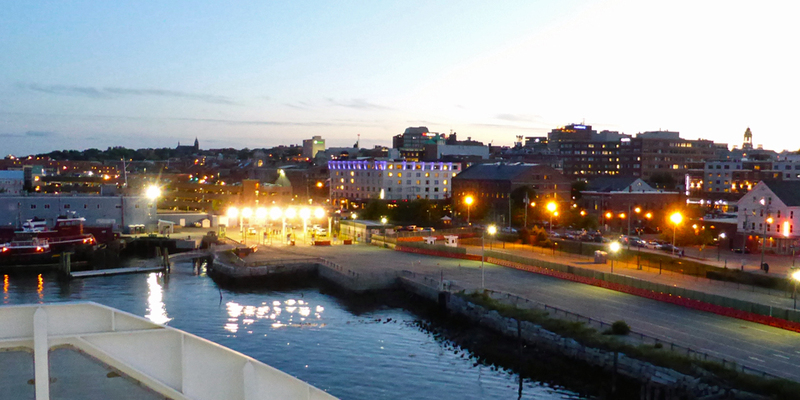 It was named “Canada’s Greatest Public Space” in 2012. A quiet beach is just down the road. 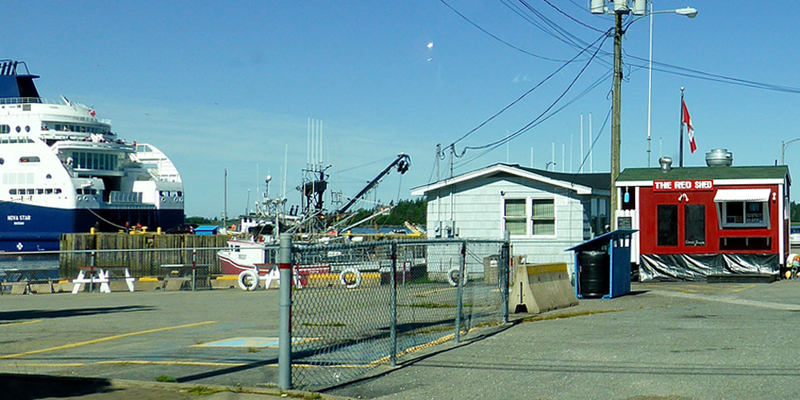 Heading back, we noticed people clamming at low tide and met Louise Deveau when we stopped to photograph John’s Cove Wharf in Yarmouth Bar. She works with Living Wharves, a hands-on experience offered June 20-September 30, 1:30-4 pm at a different wharf each day of the week. 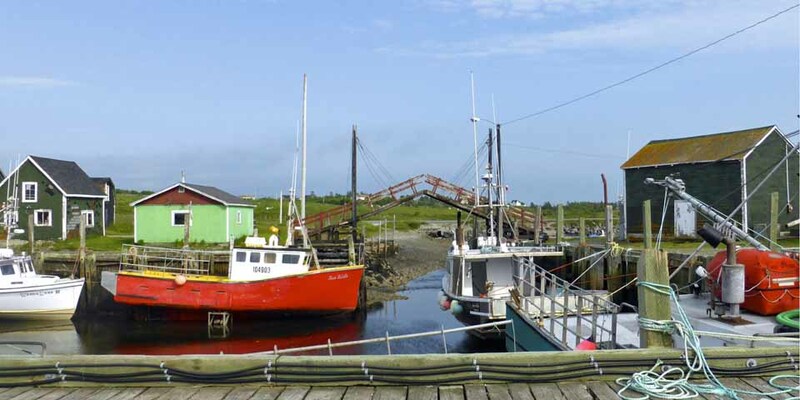 The Sandford Drawbridge, in a scenic little fishing community a short drive away, was built to span both sides of the wharf system without having to travel by road. It is the smallest working drawbridge in the world. Sanford Drawbridge is the smallest drawbridge in the world. 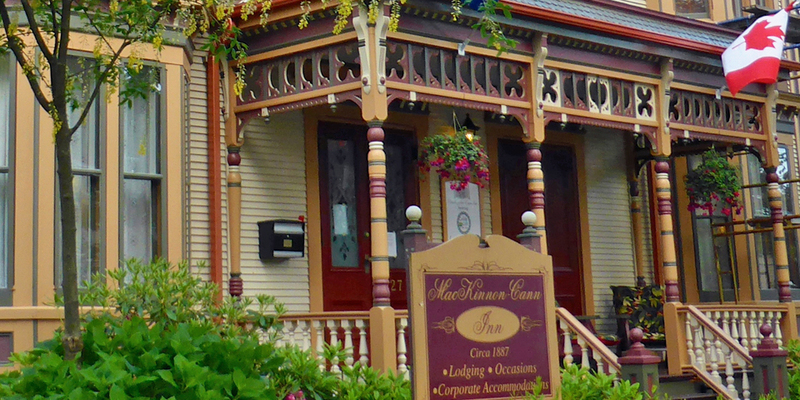 Our favorite place to stay and dine in Yarmouth is the MacKinnon-Cann Inn, a 2014 winner of Trip Advisor’s Certificate of Excellence. 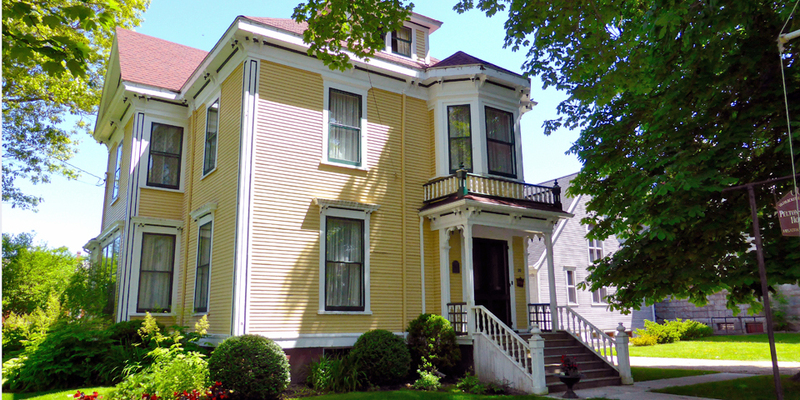 Hosts Michael Tavares and Neil Hisgen own four properties on this Historic District block, including two Queen Anne Revival-style houses on the Heritage Walking Tour. The brick house was built for Charles Richards, who manufactured Minard’s Liniment. The intricately detailed blue house, according to Michael, was commissioned by the widow of a mariner who married the builder. She died and he lived there with his second wife. The MacKinnon-Cann Inn was a duplex house built as a wedding gift for each of his two children by Captain Augustus Cann, owner of six ships. The two doors and staircases lead to mirror-image floor plans that are now connected. Each guest room is decorated for a decade from the 1900s to the 1960s. The parlors and dining rooms are decorated in Victorian splendor with crystal chandeliers. Attention to detail goes beyond the period furnishings to amenities like climate control with fresh air exchangers and heated bathroom floors. You’ll feel pampered here. 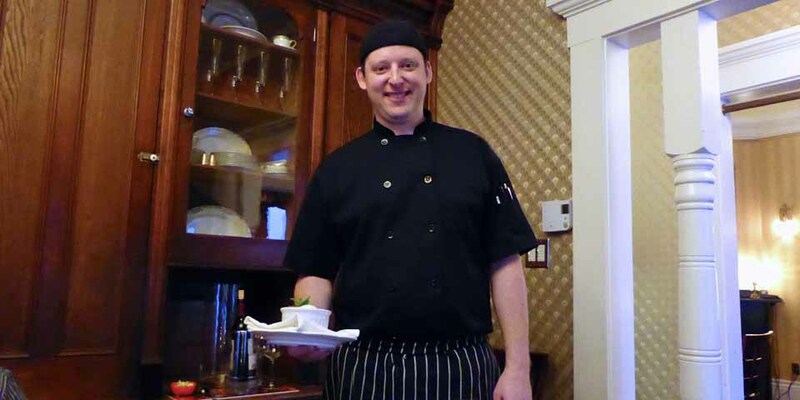 Reservations are required for the inn’s lunch or Chef Michael Hawrys’ three course menu. This is a place to feel like the lord and lady of the manor while artfully presented local specialties are served in a private dining room. We passed the Cape Forchu Lightstation moments after our 10 a.m. departure as we cruised back to Portland on the Nova Star. 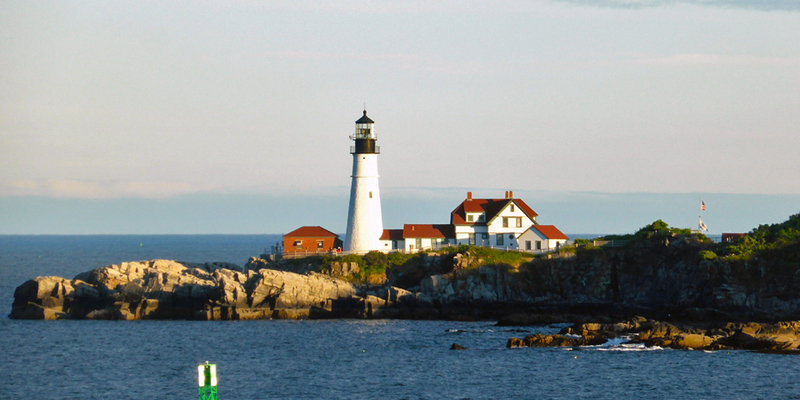 It is a ten hour trip to the series of lighthouses in Portland’s picturesque harbor. 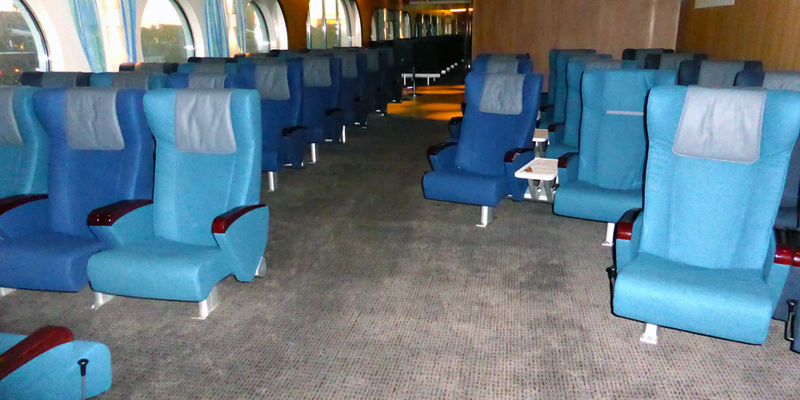 Announcements were made that the lunch buffet opened at 1 p.m., and the movie “Gravity” would be shown at 3 p.m.
Business-class sized recliner chairs can be reserved for the trip, or time can be spent in the variety of sitting areas. 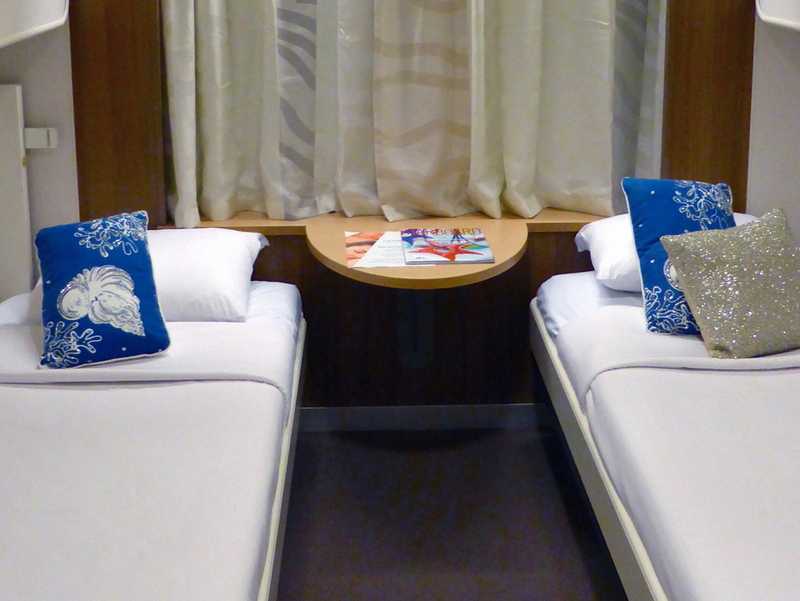 Our spacious deluxe ocean view staterooms was across the bow of the ship. 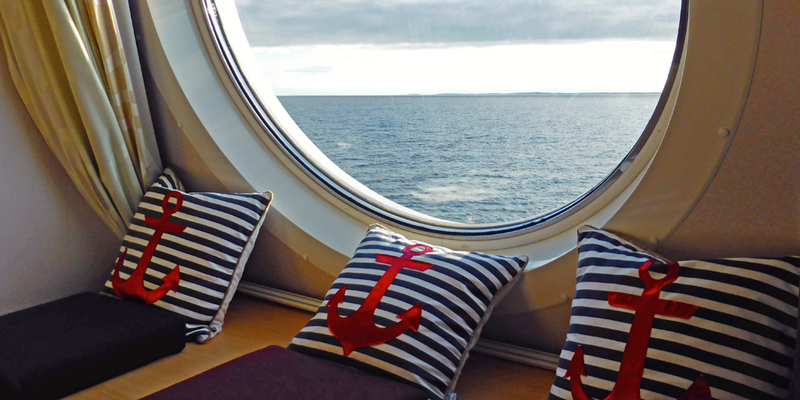 We gazed at the sea from the comfort of the cushions on the window seat beneath our enormous porthole. There was time to nap, relax with a book on the sofa that converts to another bed, and to download and enjoy our photos at the desk. 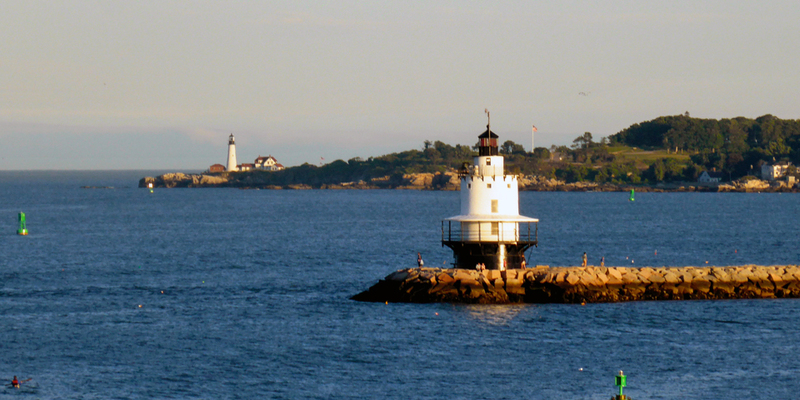 We arrived in Portland in time to see the harbor and its lighthouses by day. 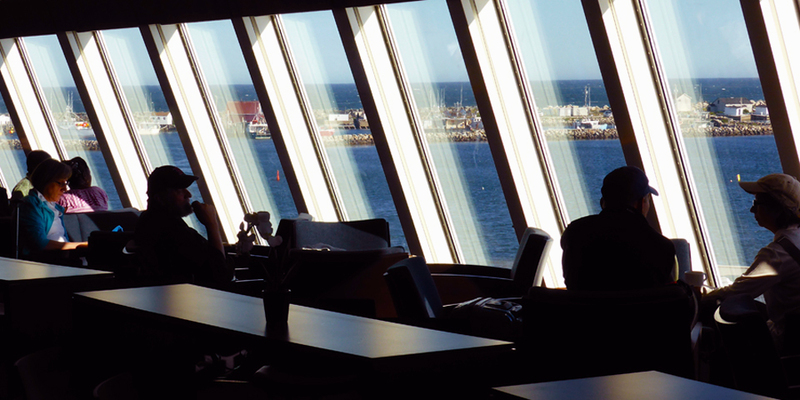 We are already planning another trip on the ferry. Isn’t it nice to return from a trip relaxed and refreshed? 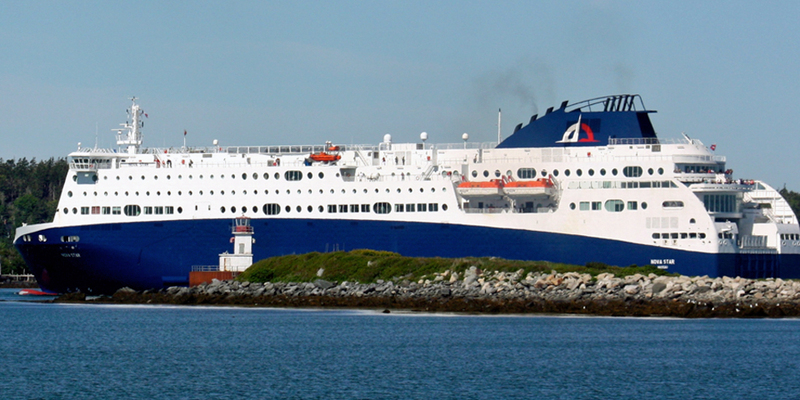 Nova Star Cruises docks by the Portland Convention and Visitors Bureau for assistance in planning your day. Check the website for special fares and promotions. 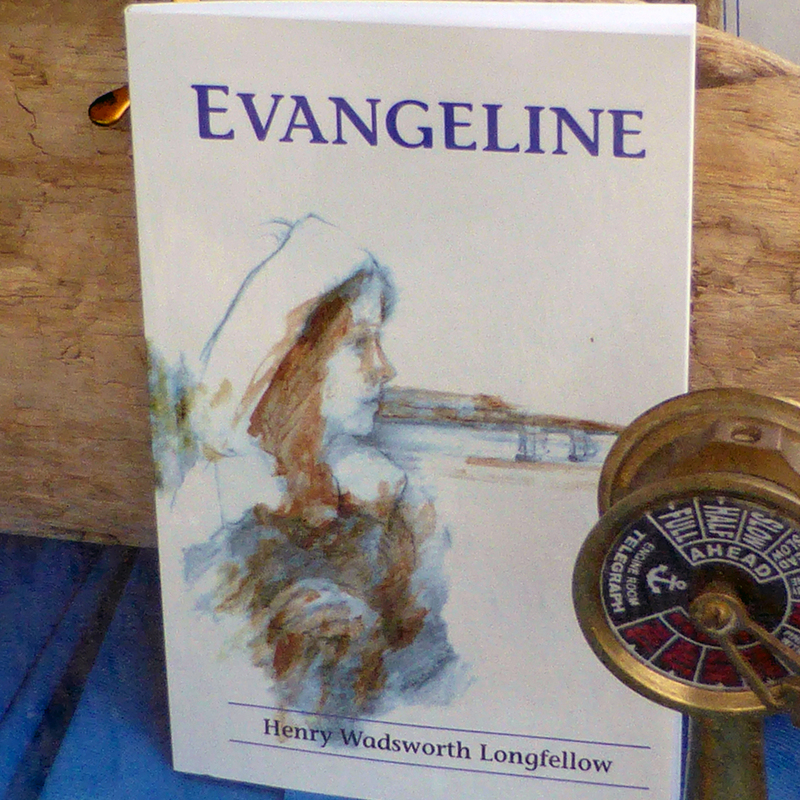 Former resident Henry Wadsworth Longfellow, whose “Evangeline” told of the expulsion of the Acadians from Nova Scotia, called his home city a “Jewel by the Sea”. The house where he grew up is open for tours. 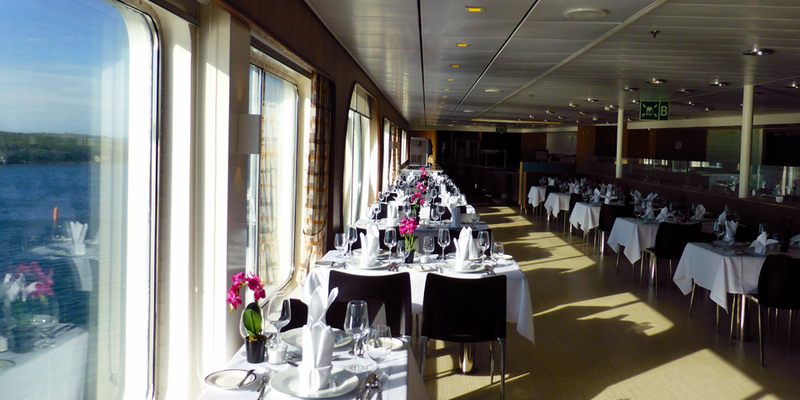 we r a family of 4 (6 & 9 yr old girls)looking to do a fun trip on novastar – package deal would be great! something that involves a train trip to boston & other new exciting things along the way.we havent experienced the new boat but curious to. 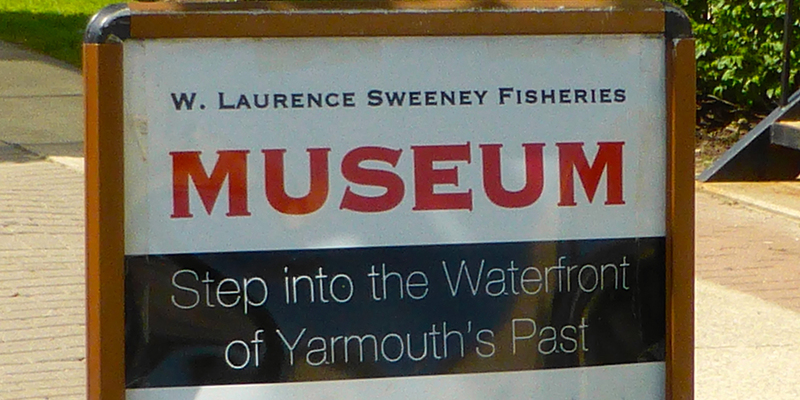 I didn’t realize there was so much to do in Yarmouth itself! It sounds like a nice place to spend a long weekend. It certainly is, Barbara. And if you have more time, even a few days, you might want to bring your car for a road trip. More on that in Notable Travels later this month. Thank you for contacting us. 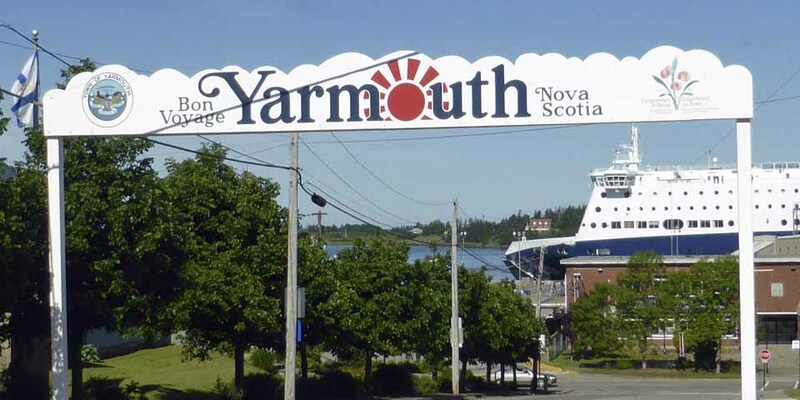 We do have a Yarmouth here in Massachusetts, but fixed this caption to the correct one — Yarmouth, Nova Scotia. Again, thank you for taking the time to read the story and let us know about this. Very nice review of a number of Yarmouth’s highlights. 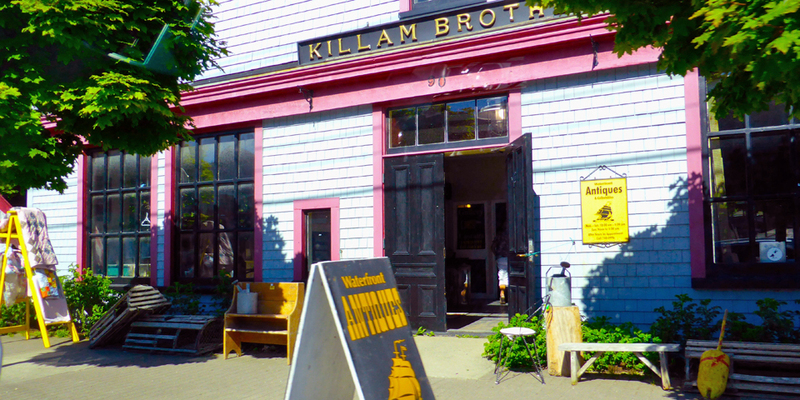 Might mention that the Killam Building contains a fine arts gallery representing 16 regional artists and an antique shop. 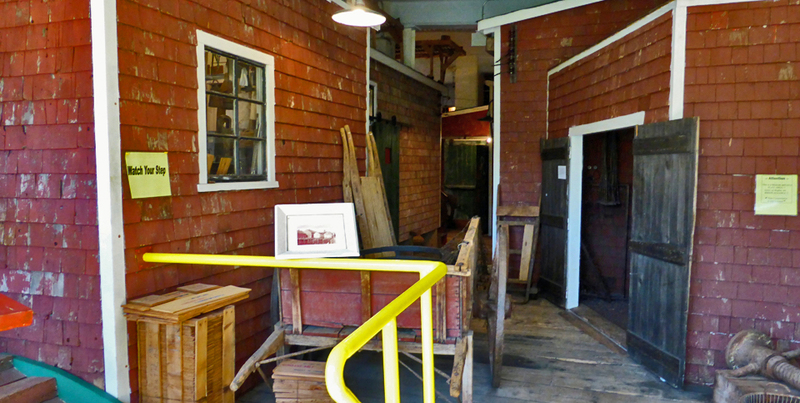 There are many artists, galleries and antique shops in our area. Sooo very sad the cruse company has made it impossible for those in the lower income bracket to make the trip!! Close to 600.00 USD round trip and that didn’t include sleeping quarters or food!!! Had my heart set on going end of August into Sept. Isn’t happening for me !! On Disibility, less than 1,000.00 a month would put me in the hole !!! Sorry staying home and find something else to do!! 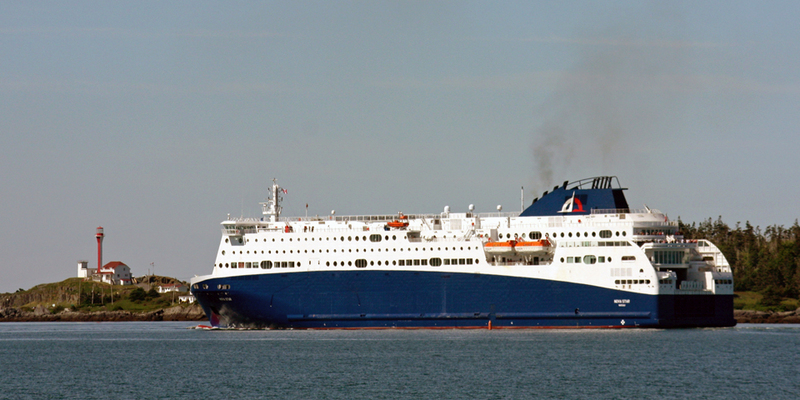 You might want to check the Nova Star website to see whether there are any promotions that meet your needs. Right now, for example, they offer a rate of $199.50 for a 24 hour round trip, which is good for someone who just wants to experience the ship. Also, this is prime summer season. I would watch for promotions in the less-costly shoulder and saver seasons. We found fall to be a beautiful time of year in Nova Scotia when we visited the Annapolis Valley a few years ago. There are stories on this and our other visits to Nova Scotia in NotableTravels.com and will soon be posting one on a road trip we just took in the southwestern part of the province. Our next trip, incidentally, is to Germany, another one of our favorites.